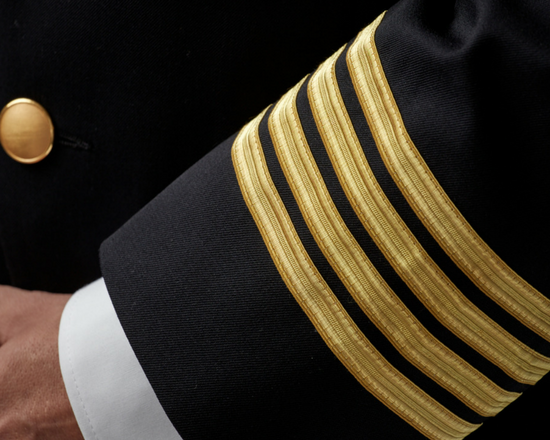 Carefully developed to the individual needs of airline flight attendants and ground staff. 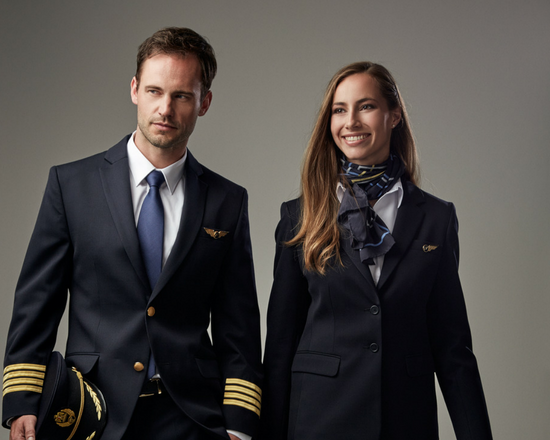 We pride ourselves on developing uniform solutions that make an impression with your passengers and let your crew stand out in a crowd, displaying a classy yet professional look. Our cabin crew skirts are no different and feature in airline uniform solutions across the globe, with Qatar Airways being the most prominent carrier. Garments go down over the knee and classic, feminine silhouettes dominate our styles, while wearers will cherish the side vents designed to improve movement. Garments also feature a waistband with belt loops and allow you to spice up the look with a leather belt in matching or contrasting colors. All styles are made from quality fabrics (wool, polyester and stretch materials) for a superior wearer experience and uniform look. We rely on our experience and wearer feedback to ensure the perfect balance of comfort, design and functionality. 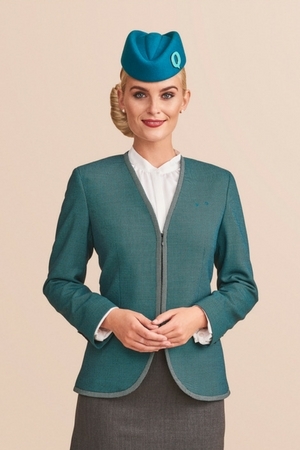 Our flight attendant skirts therefore allow airline crews to move up and down the aisle freely and easily, providing passengers with swift service and a great experience. 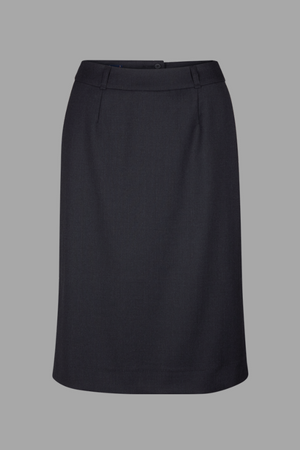 Along with most of our ready-to-wear styles, our cabin crew skirts are available from stock in navy, black and charcoal. 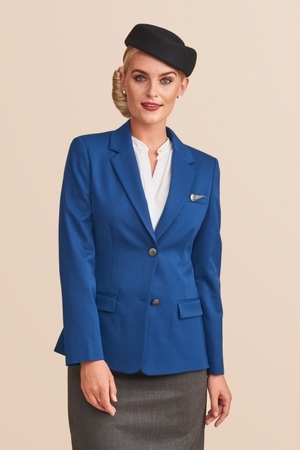 Garments can easily be matched with a wide range of colors and accessories – from traditional, elegant items to highlighting an adventurous look mixing rich colors with our flight attendant skirts. We also develop custom uniform solutions based on your color and design requirements or alter our ready-made styles to match your brand look. Please contact us for more information. 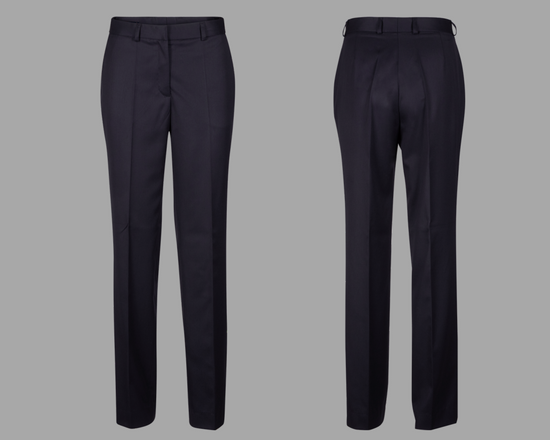 If needed, our in-house tailors also perform alterations of styles to ensure the right width and length, resulting in a perfect fit and happy uniform wearers.